5 Foot Way is a street food and catering company based in Somerset. Michelle set up the company with her husband Steve. She is a self-taught British Malaysian Chinese cook, and is proud to introduce the food of Malaysia, her birth country, to the West Country. Due to intercultural influences over centuries the quality and variety of food in Malaysia has led to a food culture which is one of the most complex and varied in the world. We have a passion for trying all kinds of cuisines and ingredients, and after moving to the UK Michelle taught herself to recreate the food from home. We are always experimenting and learning new methods and recipes, enjoying the rich variety of world cuisines that have appeared in the UK over the last twenty years. 5 Foot Way’s speciality is Malaysian food but we have a broad repertoire of Chinese, Indian and other South East Asian cuisines. We hold supper clubs, cater for private events and run cooking demonstrations and classes; volunteer and raise money / provide food for charity events; we can be found as a pop-up at festivals and markets; and collaborate with other passionate food entrepreneurs. 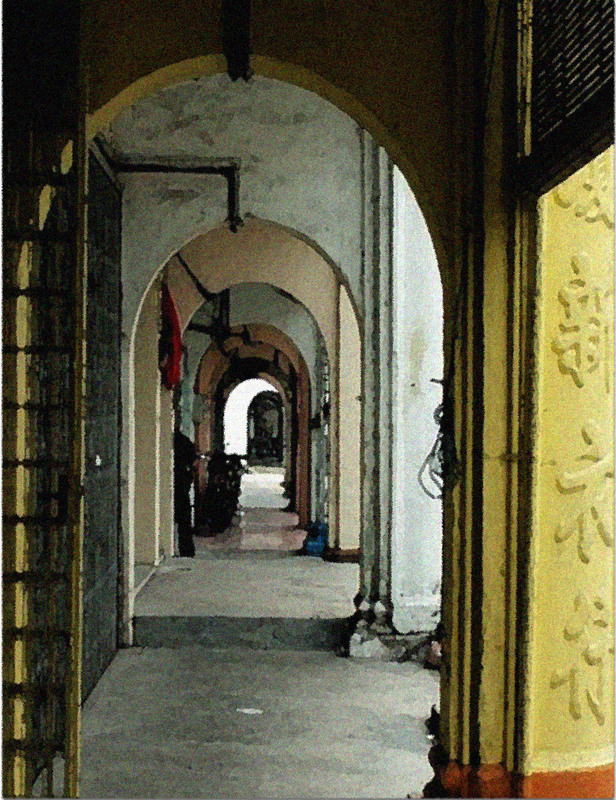 A “Five Foot Way” or “Kaki Lima” is a covered walkway found in front of traditional colonial two storey shophouses in South East Asia. These arcades provide shelter from the beating hot sun and monsoon rains. Small businesses set up shop in these walkways selling all manner of tasty snacks and spices to household paraphernalia and souvenirs. Street food stalls thrive in these compact spaces with vendors selling their families’ dishes, inherited from generation to generation, feeding locals who have their favourite noodle stall here or satay stall there, and claim to know where the ‘best’ fried chicken can be found. Food is not just a passion but a way of life for most South East Asians.